“Summer is the perfect time to enjoy being with your pets,” said KC Theisen, director of pet care issues at The Humane Society of the United States. It’s midsummer time, and still some pet parents are missing out important instructions to safeguard pets from warm weather. Let us tackle some important issues that your pet may face and protect him from the conditions due to the hot blazing sun. When sun is at its top, the mercury level rises too high. During such period, leaving your dog or cat in a parked car is highly dangerous. On a warm day, temperature is usually high and inside a vehicle, it rises to dangerous level. Within 10 minutes, the temperature inside a car can reach up to 102 to 120 degrees, though the temperature outside is just 85 degrees. This can severely affect your pet’s health leading to dreadful conditions. Summer is the time when you and your Fido want to enjoy the nice weather on a walk. In warm weather, asphalt pavements turn out to be too hot and walking on such pavements can burn your dog’s paws. If you need to take your furry friend on a walk then don’t forget to put on doggie boats. Warm weather usually inspires to indulge in stretching, warming up and exercise. If your furry friend needs exercise, remember that exercising in hot sun is as uncomfortable to your pet as it’s to you. You can help your pet workout during early mornings or evenings when mercury level is low. When going for a road ride, do not allow your Fido to hang out of the window. It’s dangerous as flying debris and parasites can cause damage to your furry pal. Ensure to put your dog or cat in crate to avoid accident. This also helps them to stay calm along the journey. Fleas, ticks, worms including heartworms are the most common problems that prop up with summer. These parasites cause severe health issues if not prevented. Discuss with your vet about the best flea and tick treatment and worms prevention. Summer time is also gardening time. However, take care not to use too much of pesticides or fertilizers for plants as these chemicals can indirectly harm your lovely pets. Hot sun cause sunburn, which is hazardous for pooches and kitties. Do not allow your pet to spend lot of time outdoors. In case of going outdoors, apply animal sunscreen that protects your pet’s skin. Put those pet ID cards around their neck and check the information in microchip is updated. ID tags and microchips act as lifesaver in an event you lose your pet. Feline friends love to be outside most of the time. Keep them safe inside during warm weather providing their outdoor necessities indoors such as cat grass and window perches. Fireworks and thunderstorms are the common noises in summer. Your pet may get frightened and start running hither and thither. 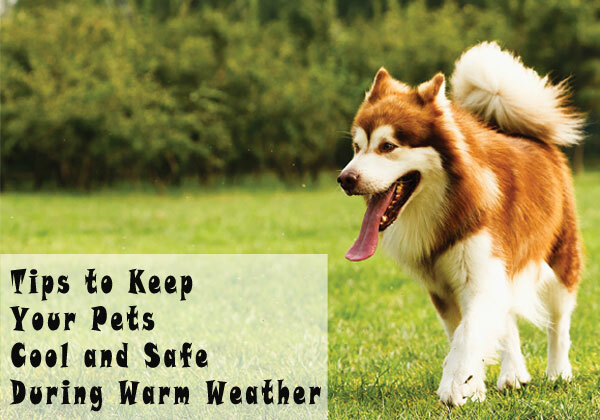 To keep your pets secure, keep them on leash and collar. Also, take them indoors during a noisy event, as the noise may develop anxiety problem in them. Are you already following some of these precautions? Do share with us. For more information on pet health care and pet supplies, do contact us.